Ruptured knee ligament. 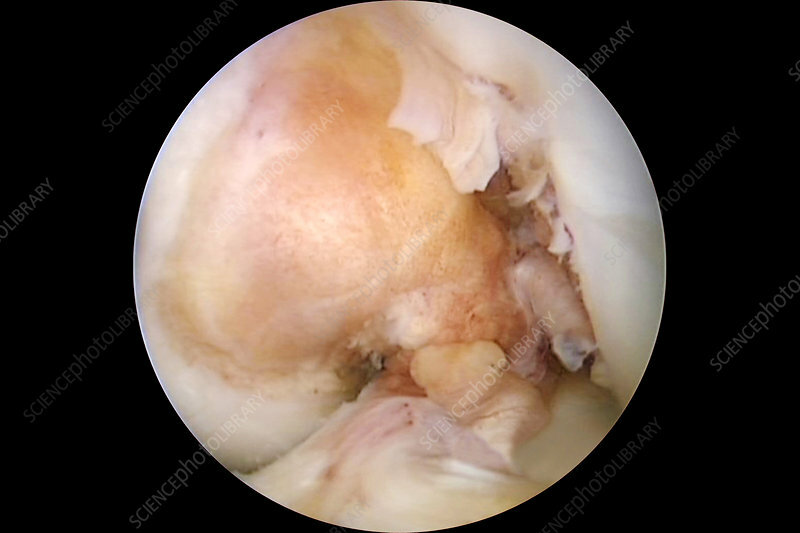 Endoscopic image of the interior of a knee joint with a ruptured anterior cruciate ligament (ACL), showing the two torn ends (upper right and lower right). The ACL is one of a pair of cruciate ligaments that function to prevent over-rotation and extension of the joint.